The Greek islands are like priceless gems in the Mediterranean Sea. Blessed by nature and mirroring the love of Greeks for beauty and tradition, they are perfect romantic destinations; each with its own unique character. Read our selection and pick your favorite. 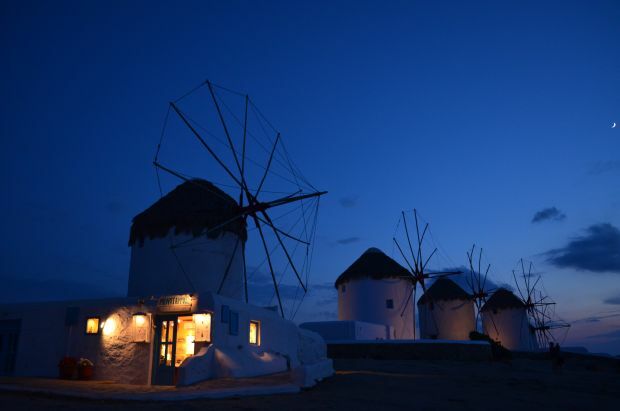 The most popular of the Greek islands, Mykonos is one of the most cosmopolitan destinations in the world. People from the international jet set can be seen sunbathing by day and sipping cocktails in one of the numerous bars by night. Take your girl for a stroll in the island’s narrow cobbled streets and brush shoulders with regular visitors, like Monica Bellucci, Lady Gaga, and Shakira. If you are after an endless fun with your girl, this island is for you. Number two in the popularity stakes is another gem of the Aegean Sea. Santorini takes your breath away from the moment you reach its port. The island is no less than a volcano embraced by the Aegean – a place of phenomenal beauty and history. Santorini boasts award-winning restaurants, luxury spas, and 5-star hotels that make romantic escapes there an amazing experience. But even those with a smaller budget can have the time of their lives. The sunsets in Oia are events in their own right. 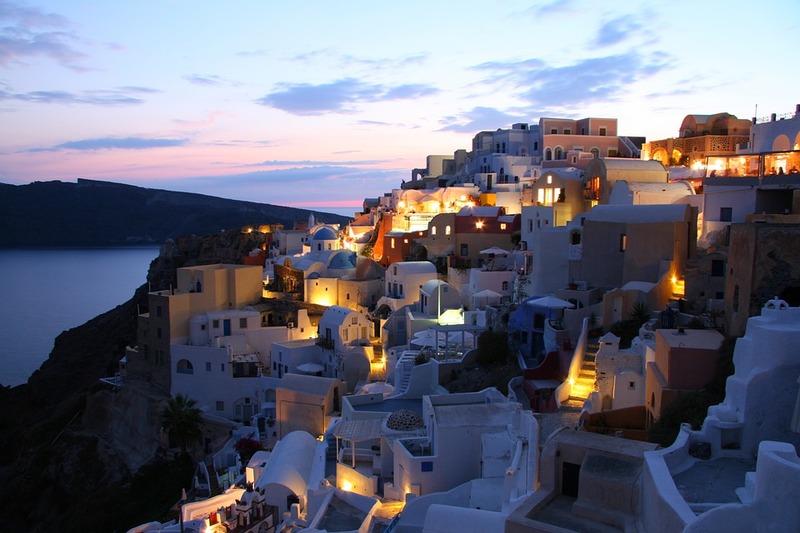 Picture-perfect and unforgettable, Santorini is the place for you if you are a true romantic. 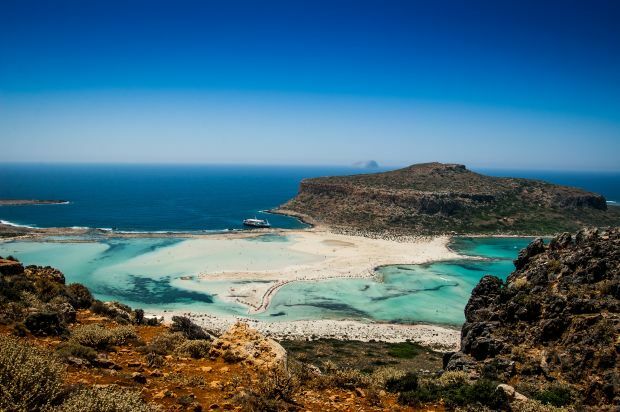 In the northernmost part of Greece, stands its biggest island: the mythical Crete. With its amazing natural beauty and thousands of years of history, you will fall in love with this place. In Chania, you will enjoy the best of everything. Elegant villas, pulsating bars and traditional restaurants, significant cultural sites – you will never run out of things to see and do. Or you can just spend your days soaking up the sun on one of the island’s beaches, such as the world-famous 3km-long white sand beach of Falasarna. There’s nothing wrong with that. The island of Aphrodite, the place where the Venus de Milo (Aphrodite of Milos) statue was found, is the most exotic of all Greek islands. It is called the Island of Lovers because it is so romantic. Yellow, orange, red and dazzling white rock formations make each one of its beaches unique. 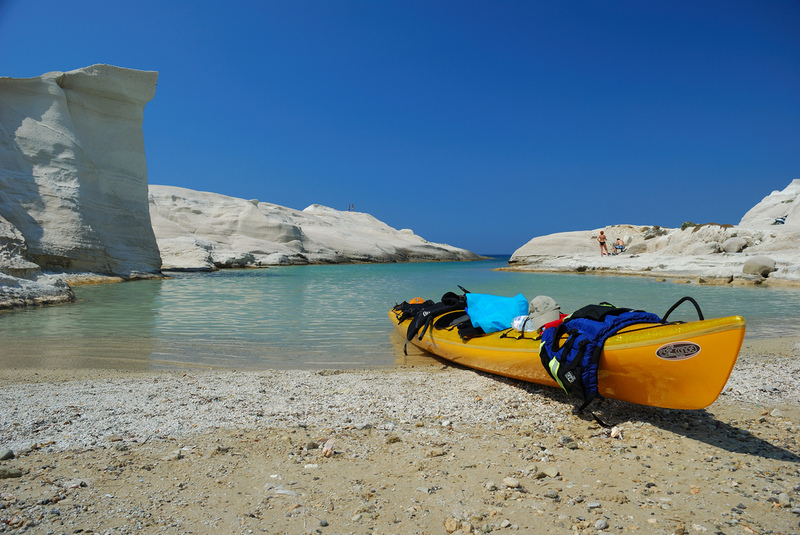 Milos’ turquoise waters will mesmerize you and form the perfect backdrop for your most romantic moments. Don’t forget to share a piece of a rich chocolate pie, one of the island’s specialities. Zakynthos is for you if you like the combination of green nature and blue waters. The island has got an impressive nightlife, but also some of the longest beaches you can find. 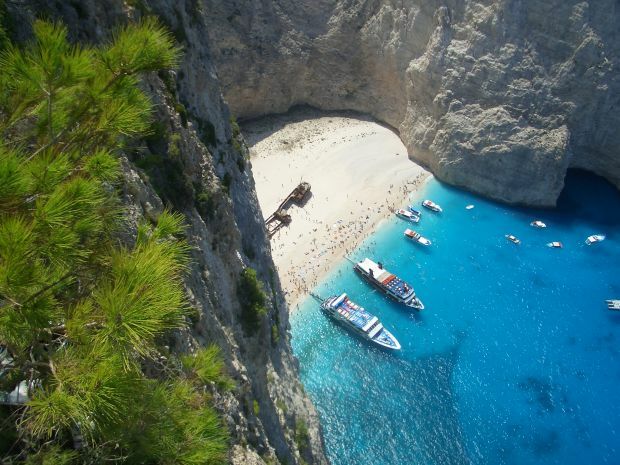 Take a small boat trip and visit the astonishing, secluded beach of Navagio. And if you like your wine, Zakynthos produces loads. Drink a glass or two in one of the island bars, enjoying the beautiful panorama of Zante town. Last but not least, a destination that’s closer to Athens for those wishing to combine a visit to the capital with a romantic getaway. 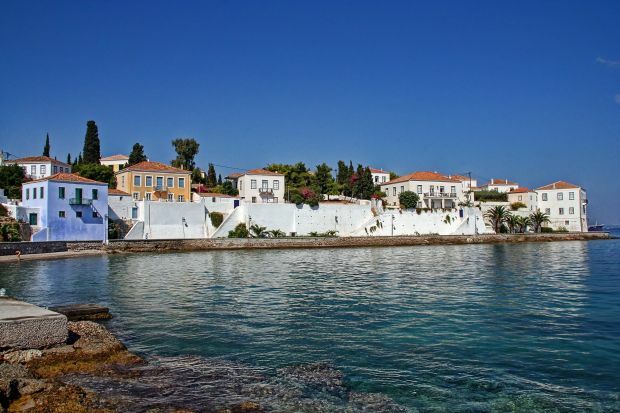 Spetses is only 2 hours away from the capital. This is one of the most aristocratic and romantic islands in Greece. Cars are forbidden here, amplifying the romance factor. Take an evening ride in one of the horse and buggies that still exist on the island, passing the picturesque Old Port and marveling at the island’s traditional architecture. Can you think of anything more romantic? These are just some of the Greek islands lending themselves to the most romantic escapes you can imagine. Choose the one closer to your tastes and live your own unforgettable myth with your loved one. For more tips on places to visit in Eastern Europe, visit our blog. 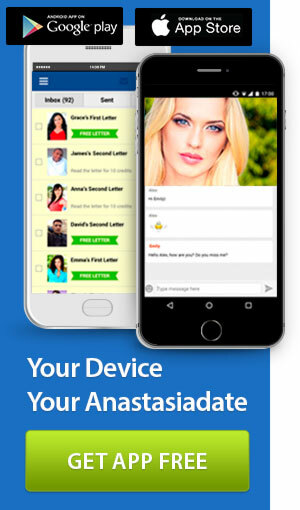 If you are looking for that special someone to share the experience of a romantic getaway with, visit AnastasiaDate. 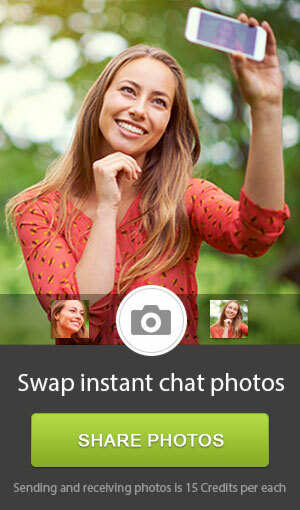 If you are looking for dating advice, click here.